The doctors at Hershey Medical Center had found a 4-centimeter brain tumor towards the base of young Gabrielle's skull. Gabrielle received brain surgery to remove the tumor shortly after. If not the doctors said it would have ended up blocking her spinal cord completely and in just a short span of six months she would have been gone. Four months into Gabrielle's battle is said to be the closest the Chapman's were to losing her. Her mother Peg Chapman said, "Here's my bald child, with red patches all over and now she's wearing an oxygen mask. That February was horrible. We didn't know if she was going to make it or not." According to the American Cancer Society, 2 in 5 children diagnosed with this cancer do not survive for more than 5 years. Although Gabrielle has defied the odds. In the end, Gabrielle had gone through 6 rounds of chemotherapy with one being a mega dose and had one stem cell transplant. After 1 year of treatments that felt like an eternity to the Chapman family, Gabrielle was finally declared cancer free. 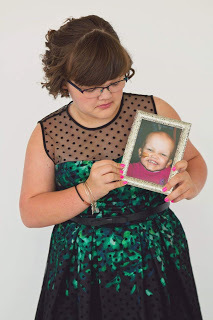 Gabrielle is now 12 years cancer free and is 14 years old. Gabrielle is a freshman at L-S and is a true warrior. In Gabrielle's own words she said, "I like to say I beat it and moved on." and indeed she did. Gabrielle speaks at multiple mini-thons a year telling her story and spreading awareness for childhood cancer. Gabrielle inspires many young children going through cancer that there is hope. 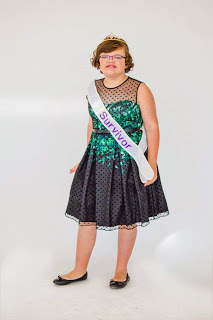 Gabrielle is proud to be a cancer survivor and enjoys life to the fullest everyday. Gabrielle wants to become a teacher someday so that she can help people. Although she has already helped so many with not just her words but her strong spirit and determination that she proves to the people around her every day. We need more amazing people like Gabrielle Chapman in this world.